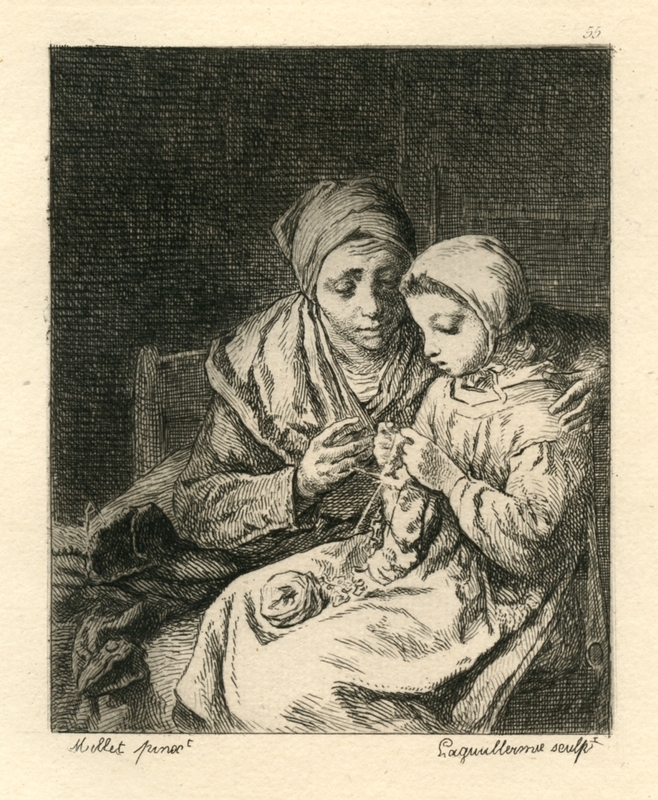 Jean-Francois Millet etching "The Knitting Lesson"
Medium: etching (after the painting). 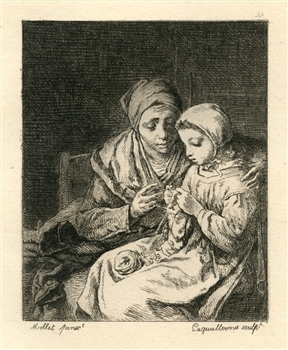 Etched by French artist Frederic Auguste Laguillermie after the Millet painting. Published in Paris in 1873 by the Galerie Durand-Ruel for the rare "Recueil D'Estampes Gravees a L'Eau-Forte" portfolio. This impression is on cream laid paper and the plate size is 5 x 4 1/4 inches (127 x 103 mm). In good condition with good margins; there is a platemark but it is not shown here in this photo. Plate-signed, not hand-signed.